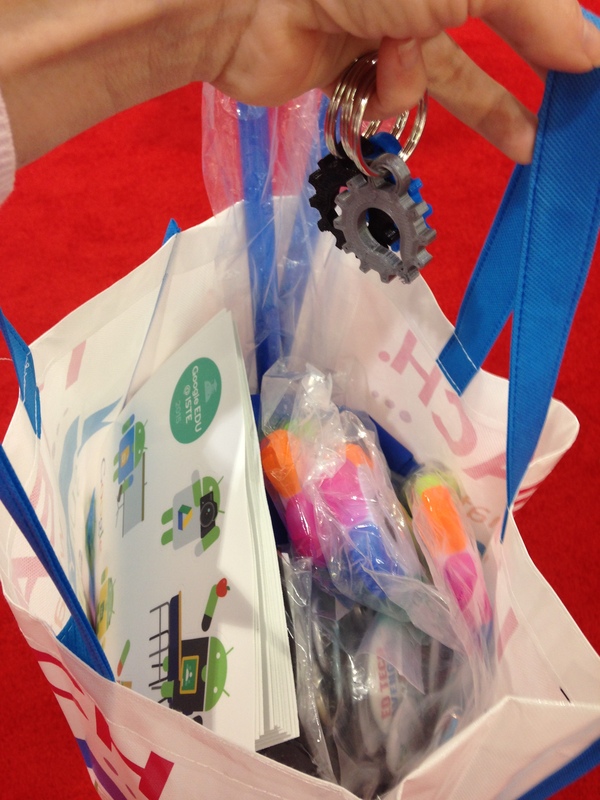 Everyone loves freebies! 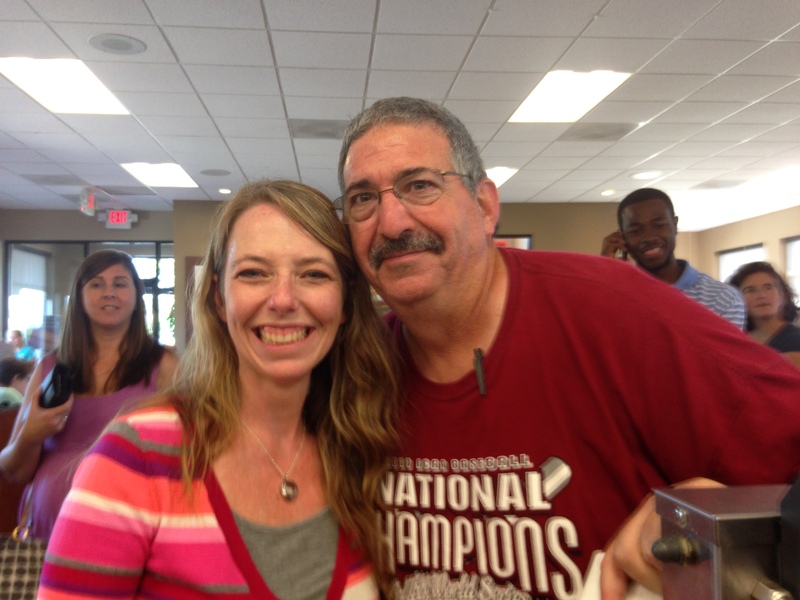 For Day 5 of our 7-Day Blogging Challenge, we were encouraged to give away something for free. How fun! 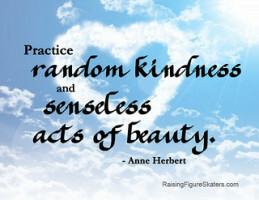 Here is the prize I am offering: a Random Act of Kindness (RAK) to be done in your name complete with a blog post mentioning you and your website or blog (if you have one). I will also customize the random act of kindness to reflect your interests (animals, children, cooking, etc.). Wow! How many people will offer that just for YOU? How to enter the raffle? Simply comment on this blog post. I will put all the names in a bucket and draw the winner later today! The contest starts NOW! It’s a pay-it-forward RAK that pays-it-forward again, a simple way to say “Thanks” for being a faithful reader and sharing in the joy of kindness! When was the last time you received a love letter? No, not a text message. Not a Valentine’s Day card. An actual love letter. Handwritten. Folded. Filled with words of endearment and appreciation for YOU. Can you remember such a time? Last summer while on vacation, I was waiting in the wee hours of the morning to see the sun peek across the horizon of the Pacific Ocean. The morning was cold and wet, the Alaskan breeze blowing across my blanket-covered lap as I sat in a beach chair on the top deck of a cruise ship, listening to the ocean waves rise and fall. I was struck by an insatiable need to share this feeling with someone, right in this moment. I recalled a novel I had read by Hannah Brencher which described her journey in sharing joy with strangers through letters. Love letters. Yes, I know it sounds romantically saccharine and a bit bizarre, to share such sweetness with a stranger, but in that moment, it felt right. I waited for the sun to finish illuminating the sky, then quietly returned to my stateroom, grabbing paper and pen. I walked around the ship, searching for a place of solitude which was rather easy to find so early in the morning. As soon as my pen touched the paper, the ink flowed from beginning to end, shaping a letter of love for a stranger I had never met. I wrote two letters, my ultra-fine Sharpie capturing my sentiments with indelible ink. Thoughts of kindness. Hope. Joy. But most importantly, love. While it may seem a bit odd that a perfect stranger is taking time out of their day to write you a love letter, please know that this no accident. For whatever reason, this letter was meant for YOU. Right here, right now, and with perfect timing. You see, there is a very important message you need to hear. You, my friend, are loved. Yes. It’s that simple. You are loved. You are important. Your life has purpose and you are meant to move mountains just by being YOU. I know this life had hardships. Boy, do I ever. But I’m here to tell you that no amount of rain or darkness can dim the beauty and brightness of your spirit. There will be mountains along your journey, and the sheer height and scope will make you want to turn completely around, go another way. This letter is to bind you. Grab you. Pull you to the base and lift you up and over that insurmountable hurdle. There may be sweat. There may be tears. But in the end, you will look back and see it was more than a rolling hill, a piece of a perfect landscape that now showcases part of your spirit. I’m writing this letter today because you are wonderful. Yes – YOU. For whatever reason, I felt that you needed to be reminded of all the specialness wrapped inside of you. Oh, the beauty that shines from your spirit! If you could only see the depth and breadth of joy and kindness that encompass your every being and how that touches those around you! Maybe you are looking around, searching for a hidden camera, convinced this is a joke, a ploy, a hidden card trick at a small venue magic show. Rest assured, this letter was meant for you. Your life has such grand purpose, which may seem impossible to believe, but it is true. Yes, I know some days you may not feel worthy or deserving of such enormous proclamations, but life is like that. The waves rise, then crash, then pull back and start again. But even in the midst of that repetition, there will be a ray of light from a sunrise that will change the landscape into a radiant sea of sparkle and everything is transformed into beauty and hope and all things good. You, dear friend, are that light. Now go out and shine! Later that morning, we docked in Ketchikan, Alaska a city that receives more than 160 inches of rainfall a year. True to form, a light drizzle of rain coated the streets as we made our way into town. Suddenly the dark clouds shifted, replaced by the warmth of the sun I had greeted mere hours before. We walked from shop to shop, learning about the culture of this salmon canning town, and I waited patiently, two folded pieces of paper hidden in the pocket of my rain jacket. Who would receive my letters of love? I saw a stack of t-shirts in an open bin and felt the nudge to leave one there, hidden in the folds of cotton, so I did. As we walked deeper into the town, I saw a quaint table and chairs outside of a sandwich shop and knew my second letter belonged there. We were only in Ketchikan for a few hours, long enough to walk around town, buy a few souvenirs, and sprinkle some love on the other side of the world. I may never know who read my my letters, but I know that my words were meant for them. And maybe my words are meant for you as well. Be blessed, my dear friends, and share this story with someone who may also need to feel a little love today! This afternoon I decided to leave school at a decent time (something about being the last car in the parking lot twice this week, walking alone in the dark, makes me remember how much I dislike the time change!) I still had work to do, so I thought it would be a nice change to visit a local Starbucks and continue my tasks with a warm Skinny Peppermint Mocha by my side. The coffee shop was brimming with people; most seats were taken, but I was lucky enough to snag a comfy armchair by the window (and an outlet!) Two of my co-workers called out to me and after a few moments of chit-chat, I claimed my chair of choice and got in line to purchase my drink. That’s when I saw the sign. Buy one, get one free! Awesome! I turned to the person beside me and smiled. 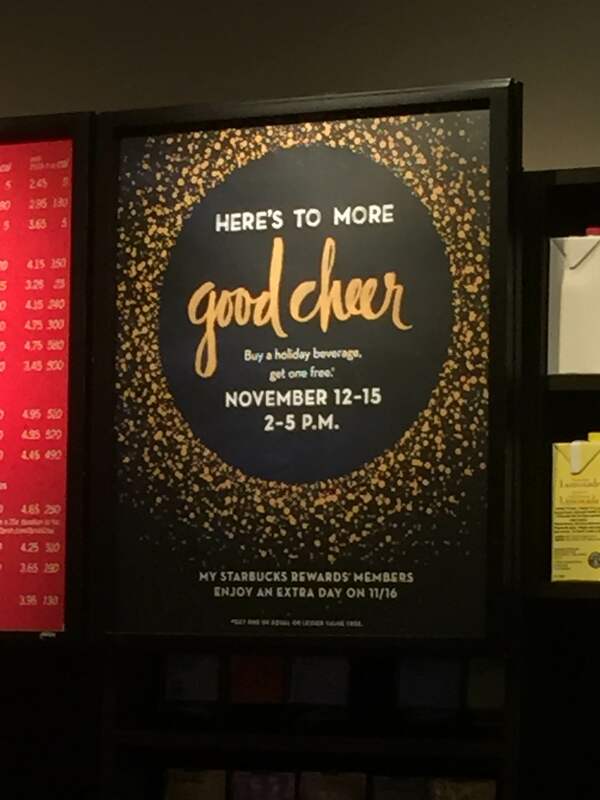 “Are you getting a holiday drink today?” I asked. She returned my smile and replied, “Oh yes!” My smile grew as I pointed to the sign behind the barista. “I’m going to buy your drink today – you can have my free one!” The woman was surprised at my gesture, offering to pay half, but I just laughed in the joy of the moment. “No, no, this is a random act of kindness for YOU! Please don’t pay for a thing!” We ordered our drinks and I gave her my business card so she could read about her RAK later. She asked me if I was a teacher and when I nodded yes, she said, “Everything about you seems like a teacher!” I was humbled by her compliment, reminded again of the joy I have in my career. 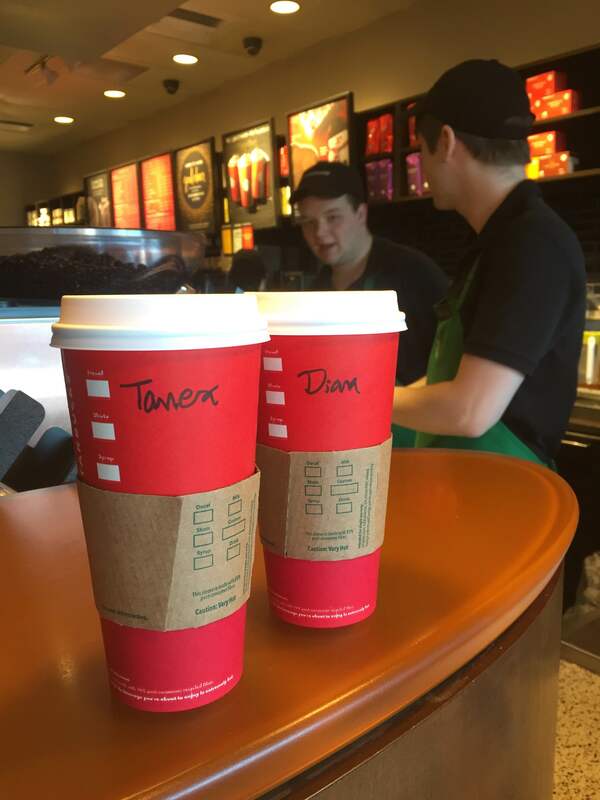 She didn’t want her photo taken, so I captured one of our cups – two strangers enjoying a shared moment of glee. As we enter the holiday season, transitioning from carved pumpkins to carved turkey, I encourage you to look for opportunities to show kindness to others in unexpected ways. It doesn’t take much to brighten a stranger’s day! Be blessed and as always, thanks for reading! More blog posts to come soon – I have so many stories to share! My first instinct was to fight. To argue. To defend my position on RAKs: my purpose, my mission, my style. I was caught in the whirlwind of surprise and disbelief. Yes, it’s true, I have been known to laugh at the most inappropriate times. Humor is probably my strongest defense mechanism and I use it without thinking. What a wonderful world we live in that we can have such petty disagreements as to whether or not a RAK could be random or pre-planned! As many of you know, Twitter is the social media of choice for technology conferences. Even if you’re not physically able to attend the conference, you can easily glean resources and make connections using the conference hashtag. To get an idea of the power of a PLN, search the hashtags #ISTE2015, #ISTE15, #notatiste15 and #notatiste. There’s a wealth of resources right at your fingertips! When you physically attend a conference, the worst thing that could happen is your device shutting down from low battery. I hate when this happens, so I always come prepared. 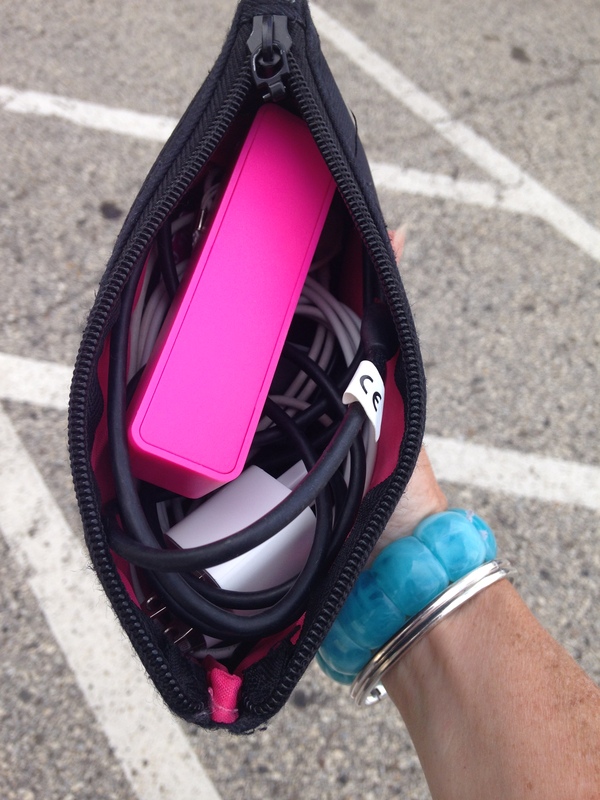 While waiting for the first Ignite session, I sent out a tweet referencing my portable battery chargers (I had three in my purse, ready to go at a moment’s notice) and the power strip peeking out of my purse. Several people read my tweet and commented back, then the conversation was lost in a sea of retweets, mentions, and hashtags. Suddenly it hit me. This guy really did need a charger! Going into a Keynote session with only 23% battery life? He wouldn’t even MAKE it to the main speaker in time. It was then that the joking over Twitter transformed into a true RAK as I set out to find him, tweeting my location and searching the crowd to find his group. Yeah… 21,000 registered attendees and I was trying to find a guy I had never met. What were the chances? The best irony of all? 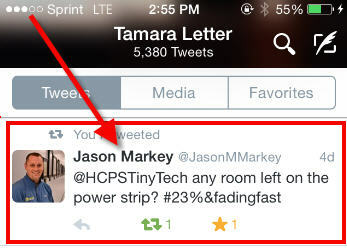 The person in this photo is Jason Markey (@JasonMMarkey), principal of East Leyden High School in Franklin Park, IL. 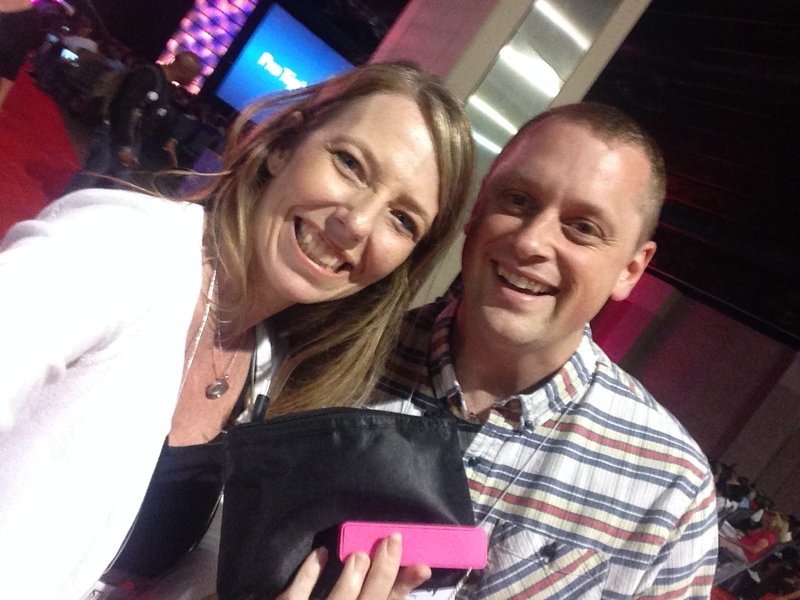 After I snapped the selfie with my phone, he said, “I loved your Ignite session on Random Acts of Kindness last year.” His comment left me literally speechless! Little did he know, I started following his #leydenpride hashtag shortly after last year’s ISTE Conference, blown away by his school’s commitment to sharing kindness through Twitter. What a small world! 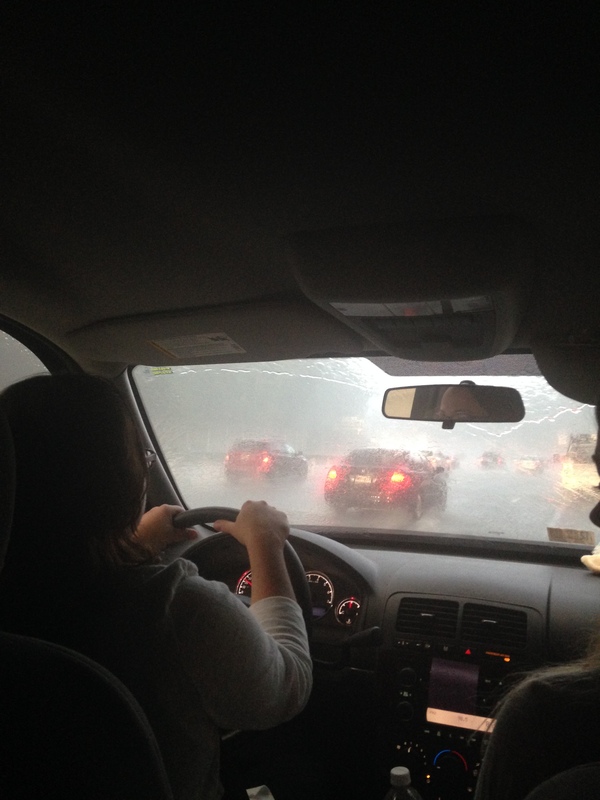 When we arrived in Philly on Saturday night, the weather was nasty: cold, wet, rainy. The umbrella I brought was little protection from the wind and driving rain that pounded sideways against my skin. My coworker, Heather, offered up her rain jacket and I accepted with glee! What a perfectly timed, completely random RAK! 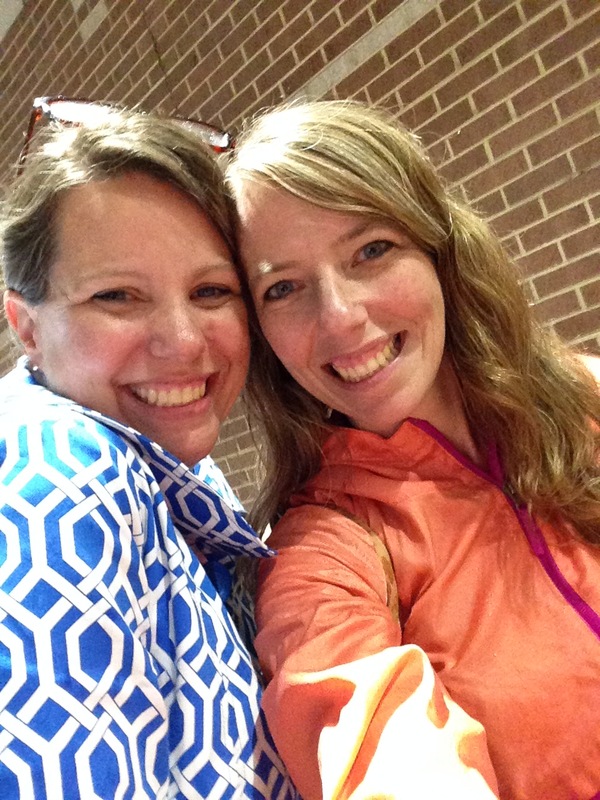 Speaking of rain, a huge shout-out to Heather (@hcausey) and Stacie (@sctaylorITRT) who shared the driving responsibilities there and back in the midst of crazy traffic and endless rainstorms. These gals are AWESOME and you should definitely follow them on Twitter! As we were traveling to dinner one evening in the city, we spotted our dear friend, Chris O’Neal (@onealchris), who now lives states away from our district. We immediately ran up and did a “Celebrity Selfie Flash Mob” (where we quickly gathered around him and snapped a photo). As we finished, he made the comment that it was an awesome birthday present (“What? Today is your BIRTHDAY?!? !”) so we immediately serenaded him with the Happy Birthday song right there on the streets of Philly. Totally random and so much fun! My oldest son is fascinated by coins. He has spent countless hours researching the images and words shown on coins and at a moment’s notice can give you a “Fun Fact of the Day” related to the history of any coin you find. When I told him I was traveling to Philadelphia, PA for the ISTE Conference, he said with amazement, “You mean where the Liberty Bell is? 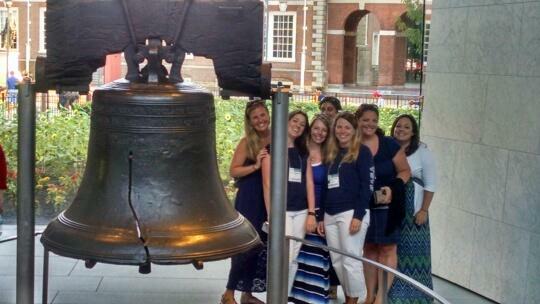 Did you know the half dollar has the Liberty Bell on it? And you get to see it for REAL?” To say he was excited for me to experience this little part of history was a grand understatement. Due to the rain and our packed schedule (as well as hotel accommodations outside the city limits), it didn’t look like we would have time to visit the historical site. I tried to prep him the best I could when I called home the second day of the conference, but his disappointment was tangible, even states away. 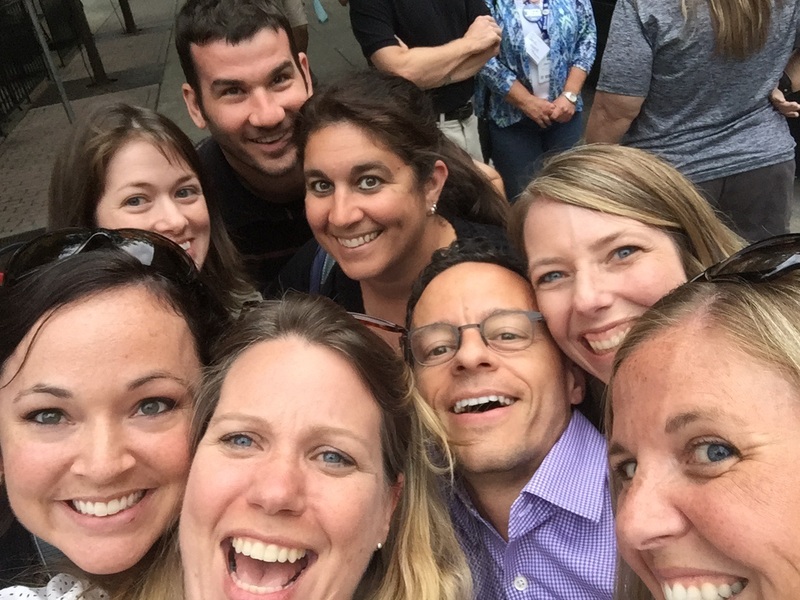 And then… my amazing coworkers assembled one afternoon in the midst of rain storms and sun, grabbed me and said, “Let’s go!” We had no idea where we were walking; we took a turn right, then backtracked left, but eventually made it to the location of the famed symbol for independence. We made sure to take a photo to send back home to my son. I have the best team EVER! May I Take Your Photo? It may seem like such a small RAK, offering to take someone else’s photo, but what a wonderful way to help someone else capture a memory forever. 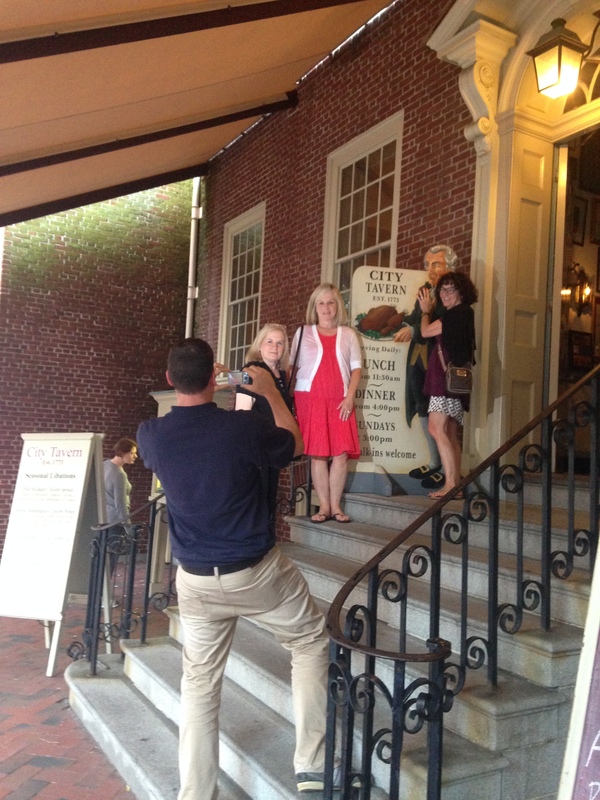 I caught my coworker, Casey (@cnugentITRT), offering such kindness to a group of strangers as we were leaving a restaurant and made sure to capture the moment for my own Smile File. 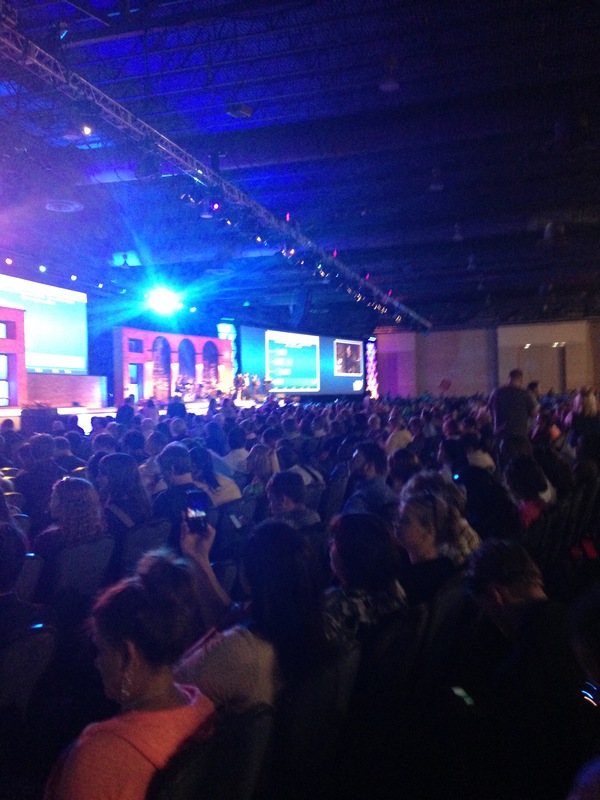 One of the busiest places at the ISTE Conference is the Expo Hall. Hundreds of vendors, all vying for your attention, hoping to reel you in with the latest and greatest tool or “must have” addition to your school or district. Many times vendors come prepared to entice with freebies, small trinkets to give away to say “Thanks” or promote their business. While I know the end result for vendors is to walk away with sales and commissions, I am repeatedly impressed by their generosity. One vendor had these cute little bee shaped figures decorating their space. When I stopped to admire one, the sales rep said I could have one. I thanked her, but declined; my three kids would fight over who got to keep the toy. She simply smiled and gave me three of them, then handed me three foam airplane kits, too. Wow! How thoughtful! 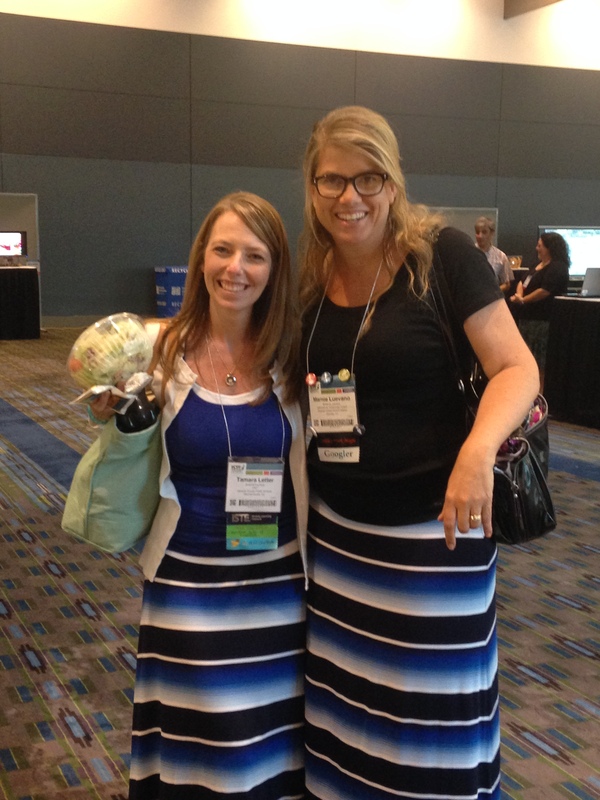 I stopped at another vendor station, enticed by their PLN buttons I had seen other people wearing. When I explained that I was doing a PD presentation focused on expanding your PLN through socia media, she reached under the table and handed me an entire bag of buttons. Not one. Not two. Not even five. AN ENTIRE BAG! I was so giddy, I could barely contain my glee! So much generosity. Sheets of stickers. Pointers. Keychains. 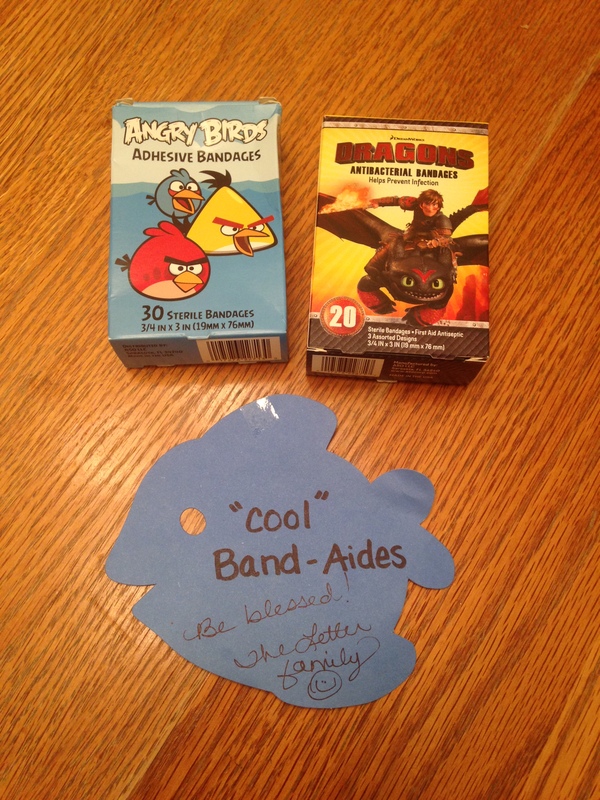 If you’ve ever had a conversation with an elementary teacher, you know they are desperate for any toy or knick-knack to stock their prize box or classroom store. These trinkets were treasures indeed! I even had Billy Krakower (@wkrakower), the amazing co-moderator of #satchat and #njed messaging me to give me a ribbon for my badge, a Tomorrow’s Classrooms Today shirt, and some travel bags. He was so kind to go out of his way to connect with me in the midst of this enormous group of people just to pass along his kindness. As you can see from the stories above, the truly random acts of kindness are just as meaningful as the ones that are pre-planned. Many of you do these types of RAKs on a regular basis and never give a thought to just how wonderful your actions are for the receiver. For me, conferences are a fantastic venue to notice unique opportunities to bless others. 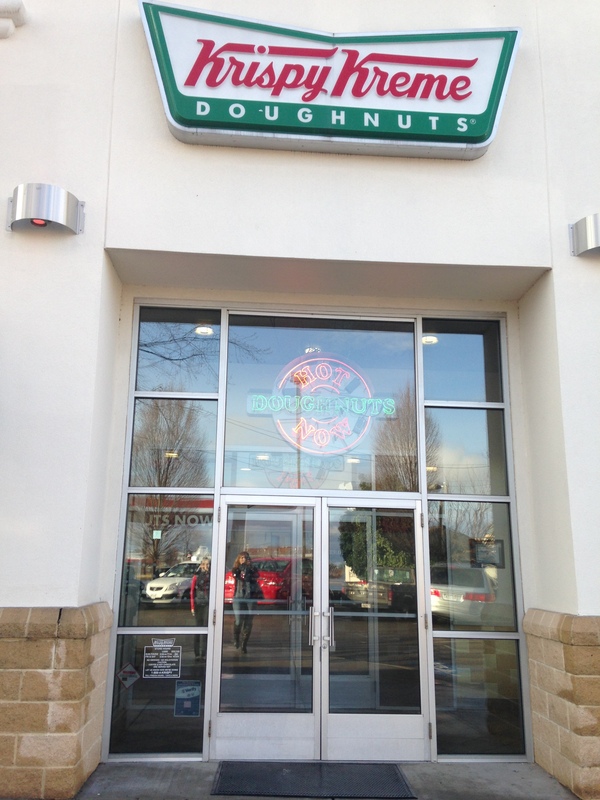 One of the things I love about living near Richmond is that we are close to a REAL Krispy Kreme donut shop. Our shop makes the donuts from start to finish in plain view of the customer, with only a glass wall separating you and the production line. 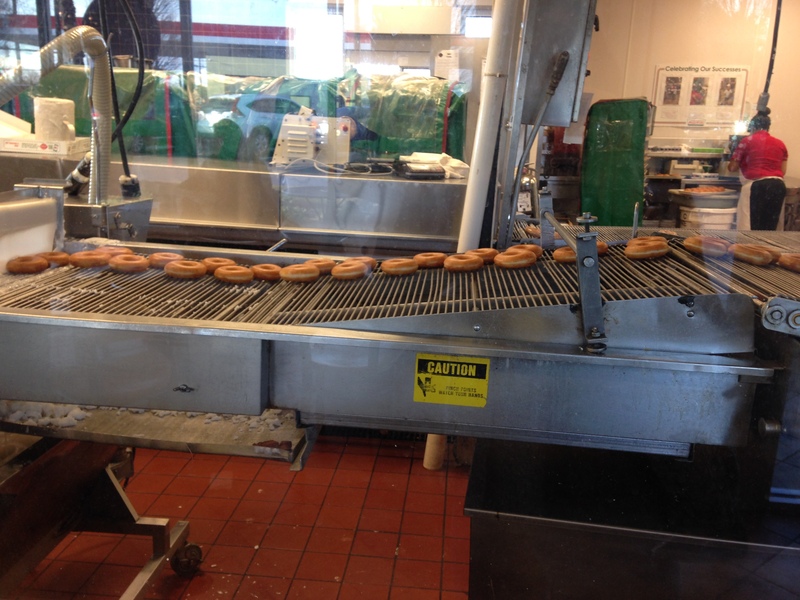 If you’ve never had an original glazed Krispy Kreme donut right off the conveyor belt, dripping from a heated waterfall of icing, you are missing out! 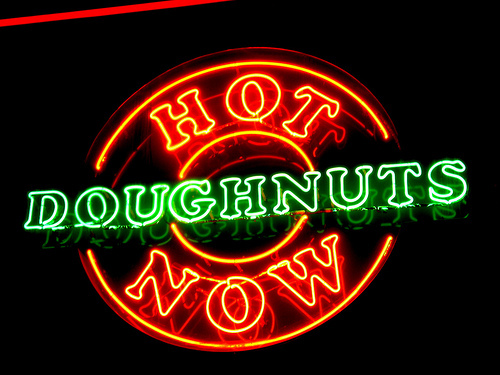 You always know when the donuts are “hot off the press” because Krispy Kreme will light their Hot sign whether day or night. 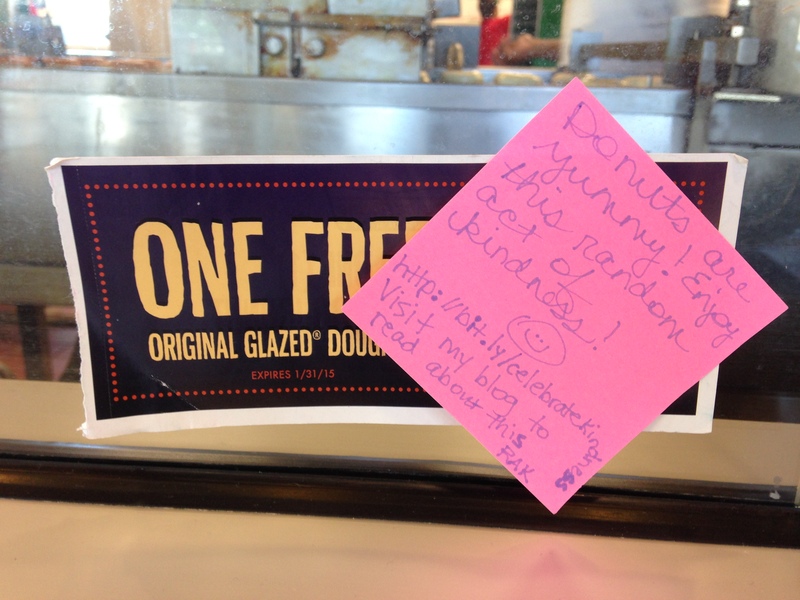 I received a coupon from a friend for a FREE original glazed donut and I couldn’t wait to pay it forward to bless someone else! So I drove down to the shop and left my surprise where it couldn’t be missed – right on the glass window. It wasn’t much, didn’t cost me a dime, but boy did it make me happy! I wonder who got the free donut today? A mom suprising her kids for breakfast? Perhaps a grandparent spoiling their grandchild? Maybe even a businessman, swayed by the neon sign shining through his car window. Who knows. I just hope whoever used the coupon felt blessed by this random act of kindness and maybe it brightened their day! 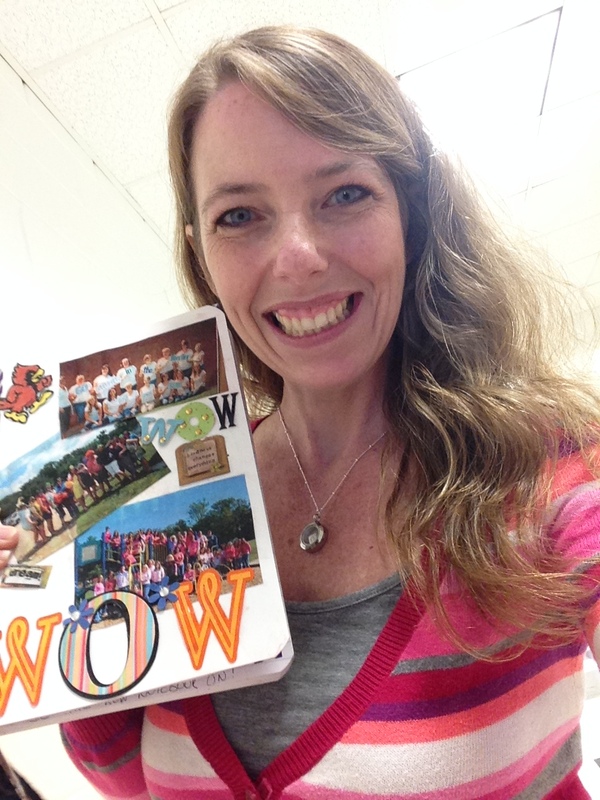 At our very first faculty meeting of the school year, I was presented with the WOW book. This is a new journal we are passing around to co-workers in our school who inspire us in a variety of ways. We write an entry inside the book about why we think that person is special, then we pay it forward to that person so that they can recognize the next WOW member of our school. There is even a special page inside the front cover dedicated to Renee Parr, the first grade teacher who passed away this summer. When I was called to receive the book, I was humbled beyond words – one of the few times I could barely speak! Even writing this I am awed that someone would find me worthy of this honor. WOW indeed! 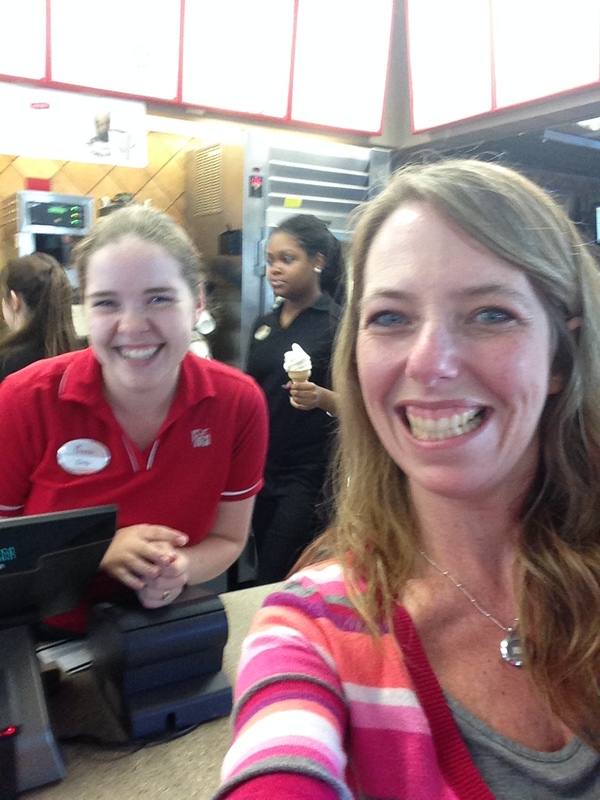 One of the highlights of Teacher Work Week is the freedom to choose our own lunch time and eat wherever we want. (No cafeteria food, no frozen lunches for the microwave!) 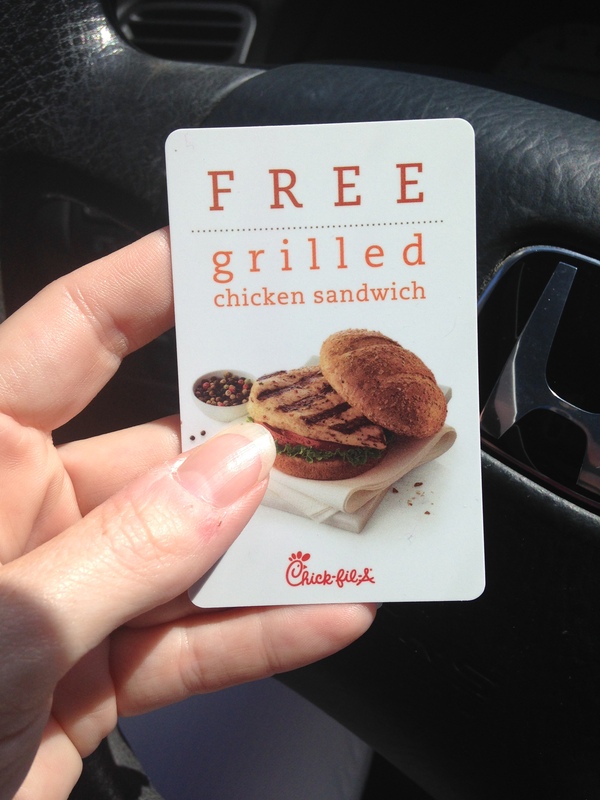 I was delighted to find a coupon for a FREE grilled chicken sandwich – thank you Chick-fil-A for remembering teachers and sharing in kindness! As I approached the local restaurant, I could tell lots of other teachers were enjoying their free sandwiches, too, because the drive-thru line was wrapped around the lot! I decided to park my car and go inside to place my order. I entered the double doors and saw the line was just as long inside the building. Suddenly the person in front of me turned around and said, “Would you like to go in front of us? We’re still waiting for our friends.” How kind! Within moments I was facing the cashier, placing my order. Now this alone would be a wonderful RAK, but it gets EVEN better! As I’m standing there contemplating fries vs. salad, I hear a voice over my shoulder saying, “I’m buying her lunch.” I turn around and there is our school’s P.E. teacher, Barry, standing behind me. “What?” I question, still trying to process the fact that I’m getting RAK’d back. “Your lunch. I’m buying it.” I started to protest, and he looked me square in the eyes, using my own words against me: “Don’t deny my the joy in doing a Random Act of Kindness…” All I could do was give him a hug and say thank you, humbled once again. Our cashier thought it was great! 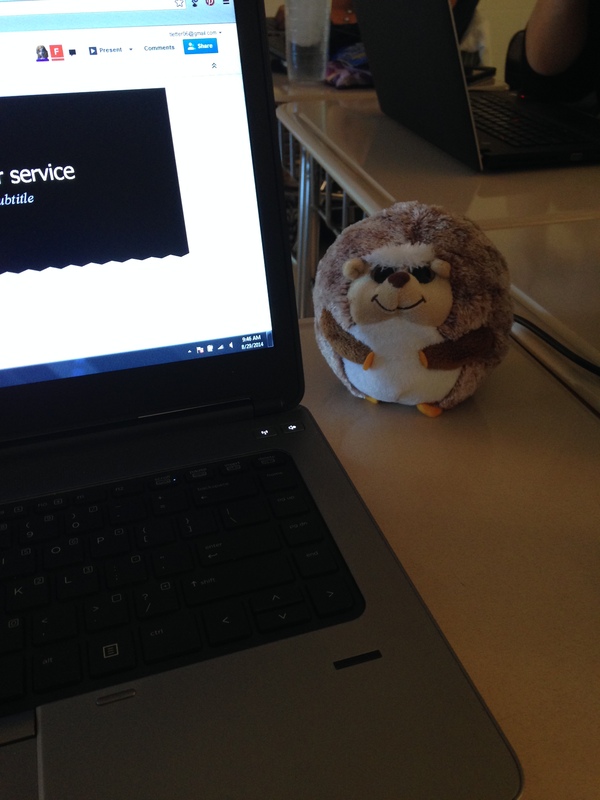 At my first team meeting of the school year, this cute little guy below was introduced as the “Hedgehog of Happiness”. 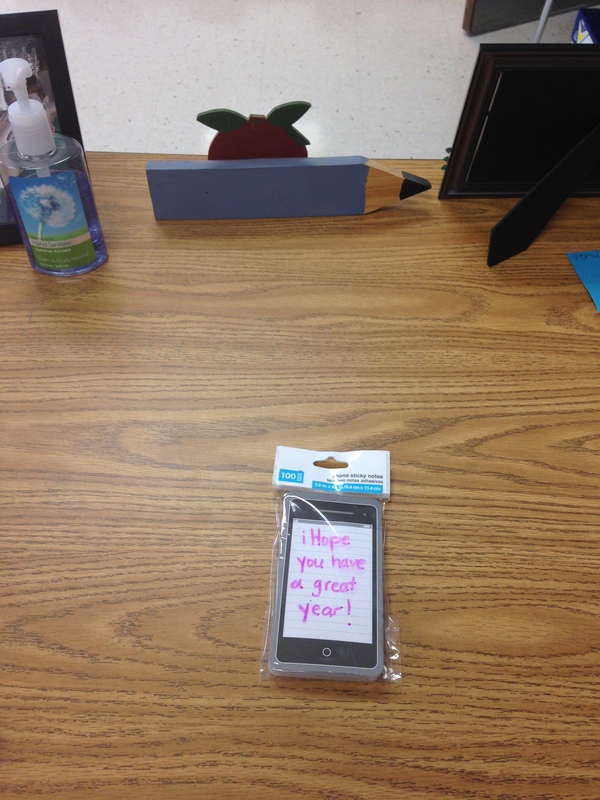 One of my teammates said, “Give this to Tamara – it needs to be on her desk!” Oh my gosh, what fun! He made me smile all day! I wish everyone had a “Hedgehog of Happiness” to remind them of the joy found in simple things. 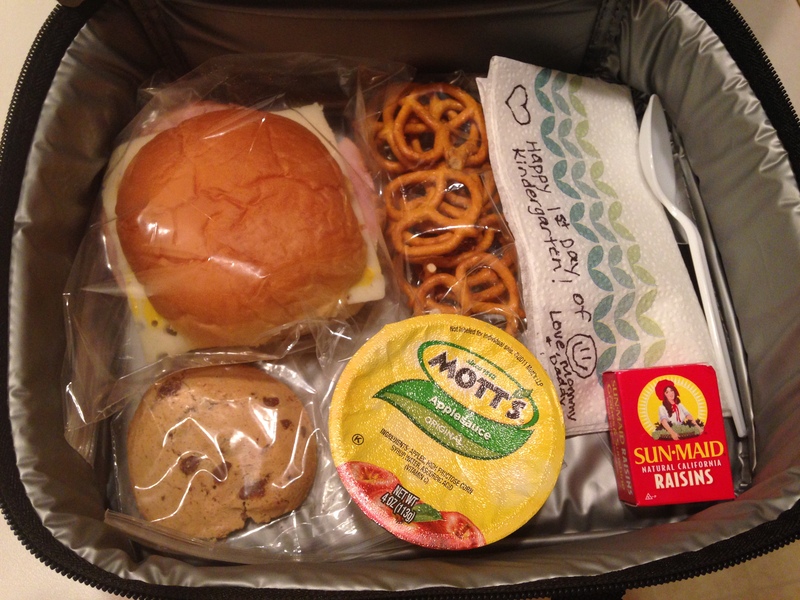 I paid it forward by sending surprises to my children’s teachers and writing a note in my son’s lunchbox. During the first week of school, I received two RAKs – one was a sweet gift from a kindergartner whose mom used to teach across from me when I was a classroom teacher at another school. Pumpkin Cheesecake handsoap – oh my graciousness, what a wonderful scent! It reminds me of fall and cooler weather. Hand washing is VERY important in our line of work, so now I can stay germ-free while pampering myself a bit at the same time. 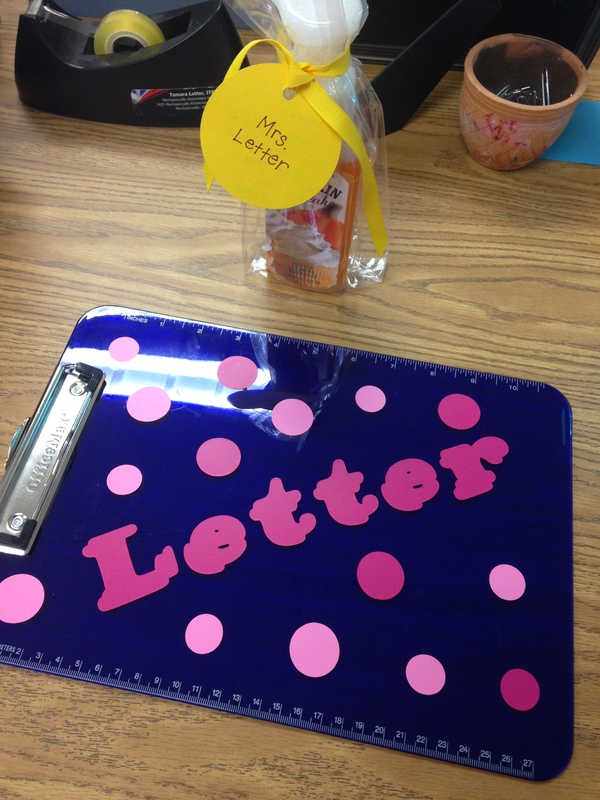 The other gift I received was a personalized clipboard from our school’s PTA. How thoughtful! Even though I’m a technologist, I still carry a clipboard in my laptop bag which holds important documents, sign-in sheets, and my to-do list. Now I have a fancy clipboard to replace the boring brown one I’ve been using for years! I hope you’ve enjoyed my summaries of kindness shared by others in my world – I can’t wait to do more RAKs soon! A little bit of kindness goes a long, long way… who can YOU bless with a little bit of joy this week? 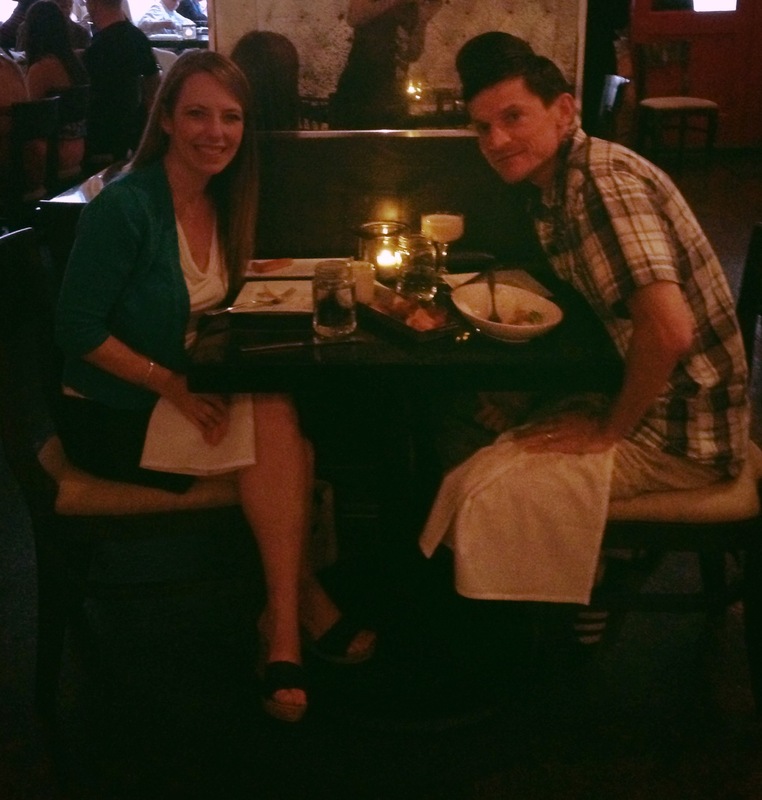 Last weekend my husband and I were in DC to celebrate our 20th anniversary. (Yes, we’ve been married quite a long time!) 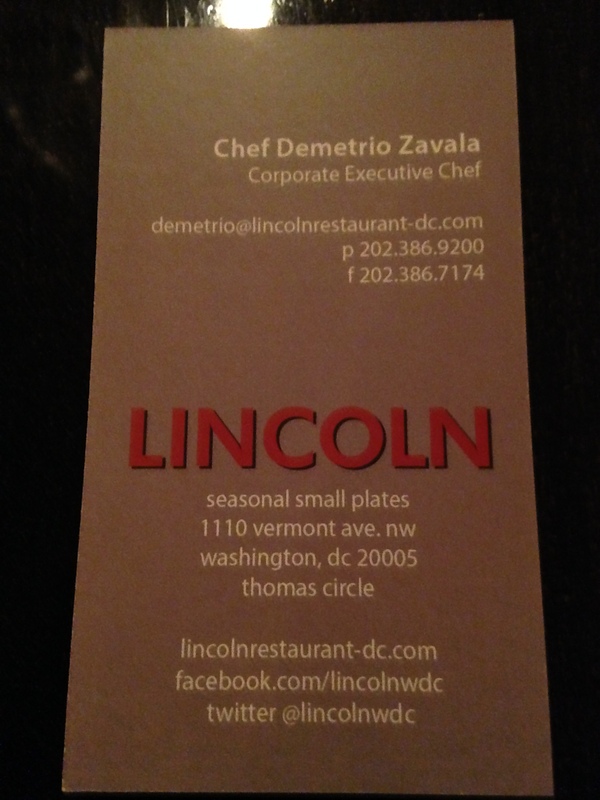 He chose a restaurant we had never been to before called Lincoln, which happened to be within walking distance of our hotel. The serving staff was friendly, the food was flavorful and reasonably priced being a downtown restaurant, and we enjoyed the ambiance of the unique decorations. 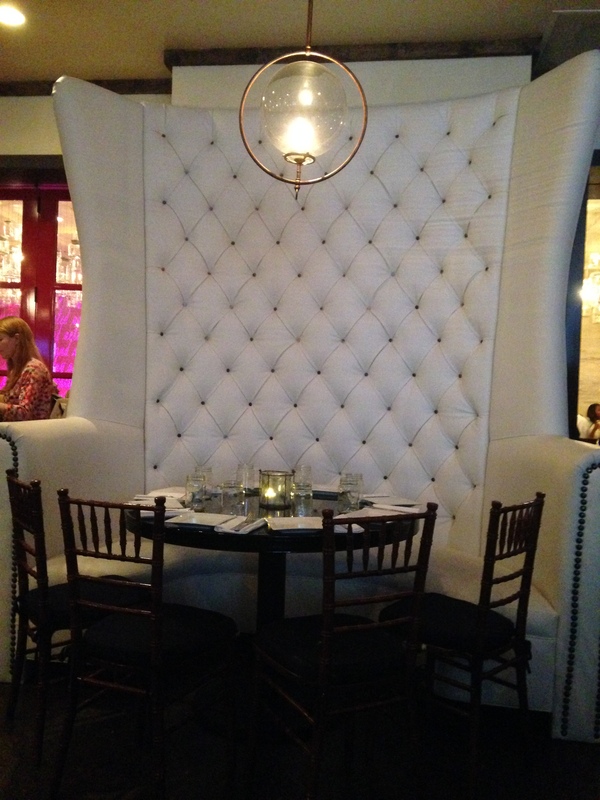 This wasn’t our seat, but it was across from our table – so unique and fit for Lincoln himself! 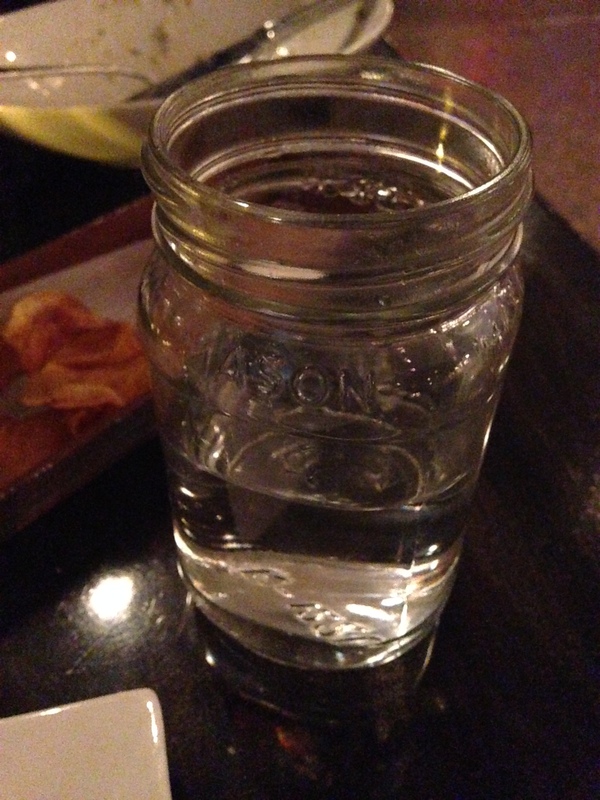 Our drinks were served in mason jars. As we enjoyed our appetizer, we told the waitress we were celebrating our 20th anniversary and had her take a photo of us (after all, we will never be this young again, lol.) Her name was Milena and she had a richness to her voice that matched her beautifully unique features. We asked where she was from and she replied “Eastern Europe” with a smile that held secrets we dared not ask. 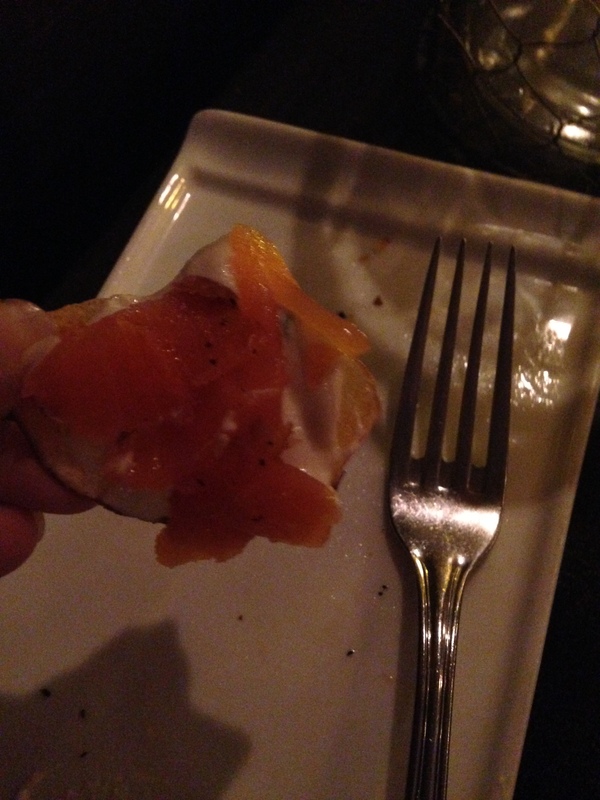 They were gracious to serve the salmon from Rich’s salad on the side for me to enjoy instead! 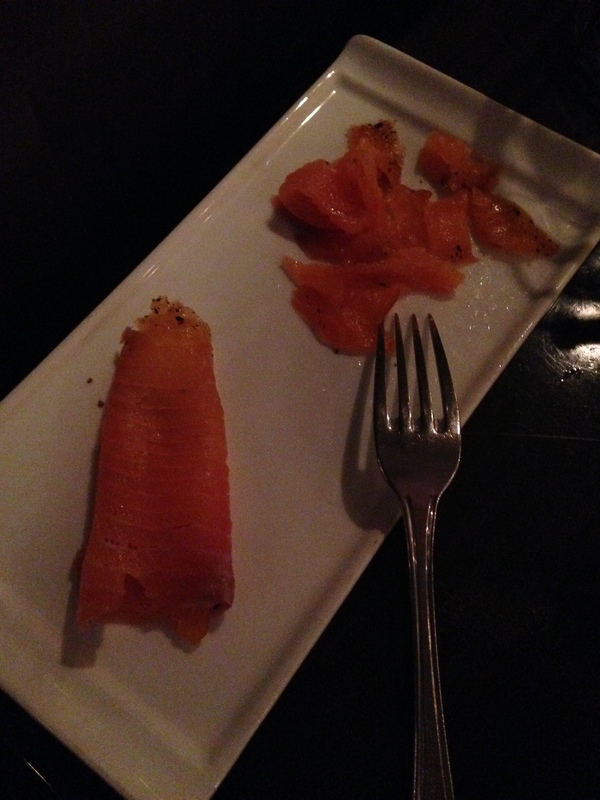 The salmon was especially tasty with the appetizer! 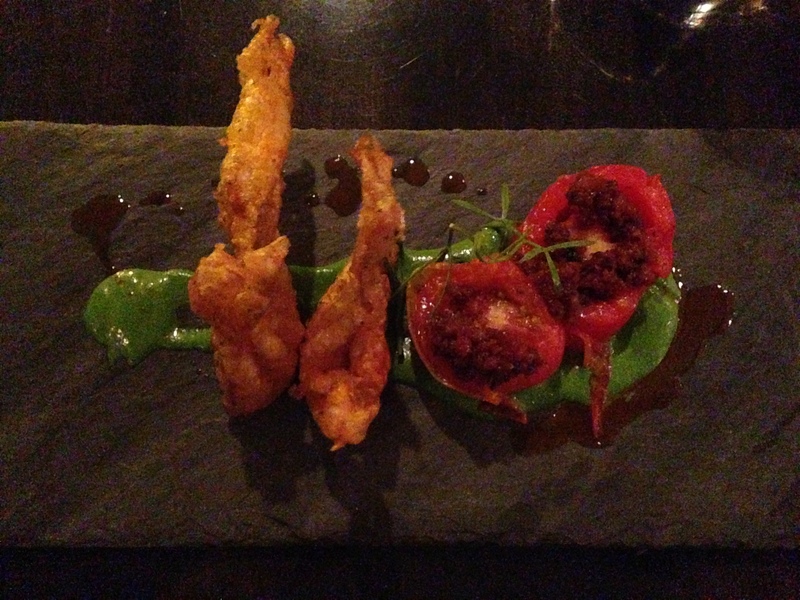 My entree – soft shelled crab. 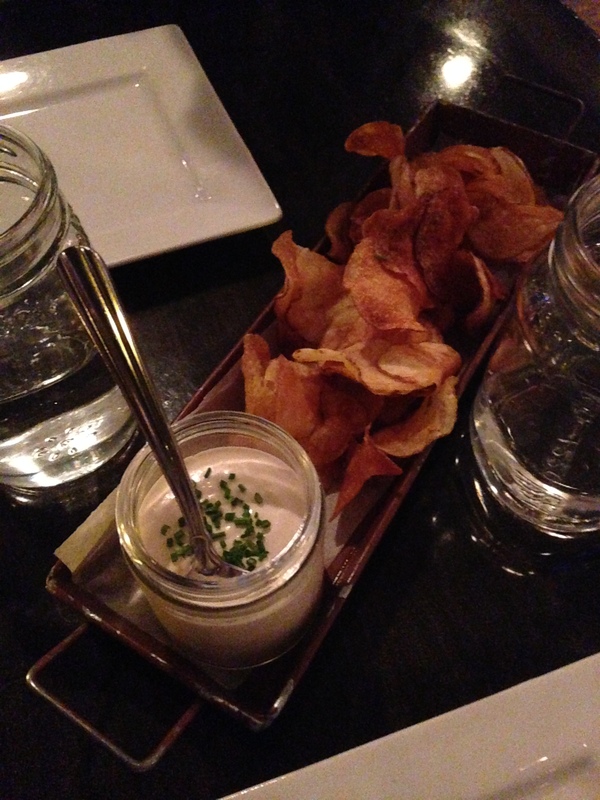 This restaurant specializes in “seasonal small plates”. After dinner, we asked to see a dessert menu (something we rarely order, but felt we should since it was our anniversary.) 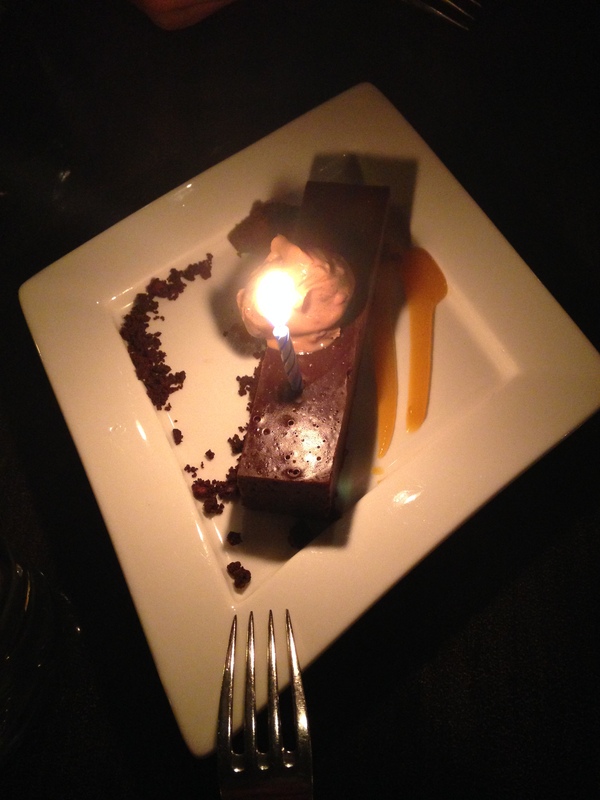 A few moments later, Milena returned not with a menu, but a slice of chocolate cheesecake with a lit candle in the top. “For your anniversary. From us.” Oh my gosh, what a surprise! I laughed in my delight! 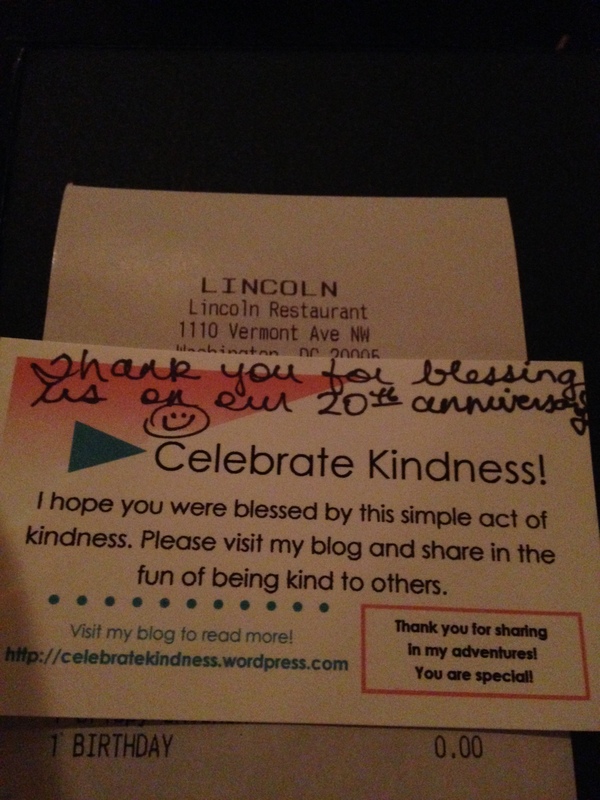 We were being RAK’d by this new restaurant! 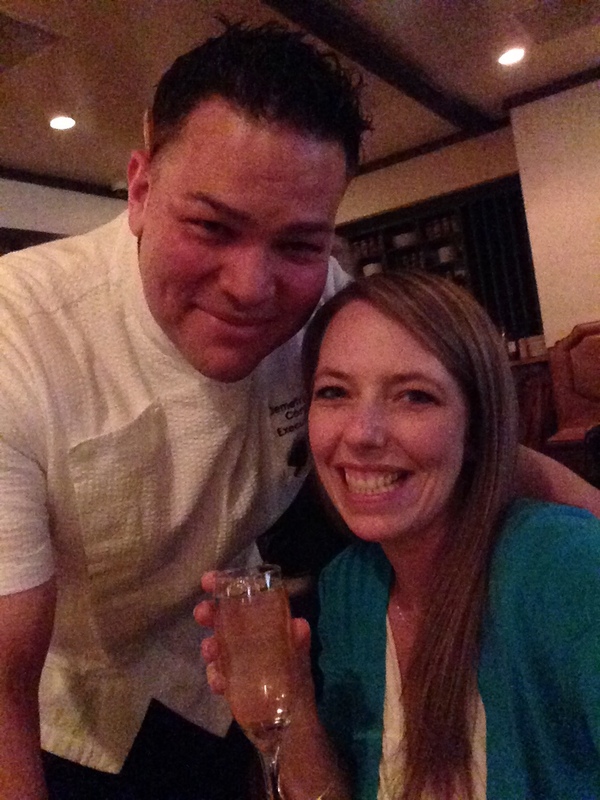 As we reveled in this unexpected surprise, the restaurant’s executive chef, Demetrio Zavala, approached our table to congratulate us on our anniversary. “You need champagne! A drink to celebrate! I bring you whatever you want, on me.” More surprises! Such fun! Who in their right mind would turn down free drinks and dessert? 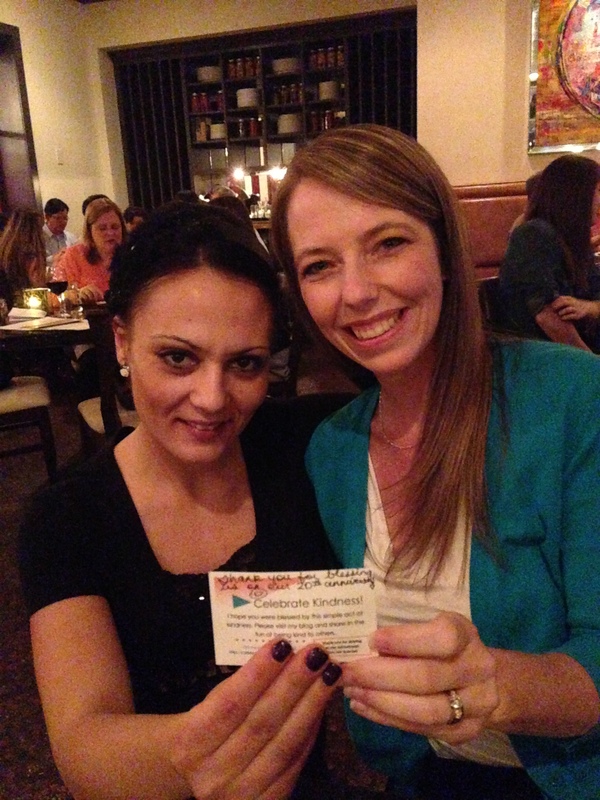 Me and our waitress, Milena, with my RAK card. 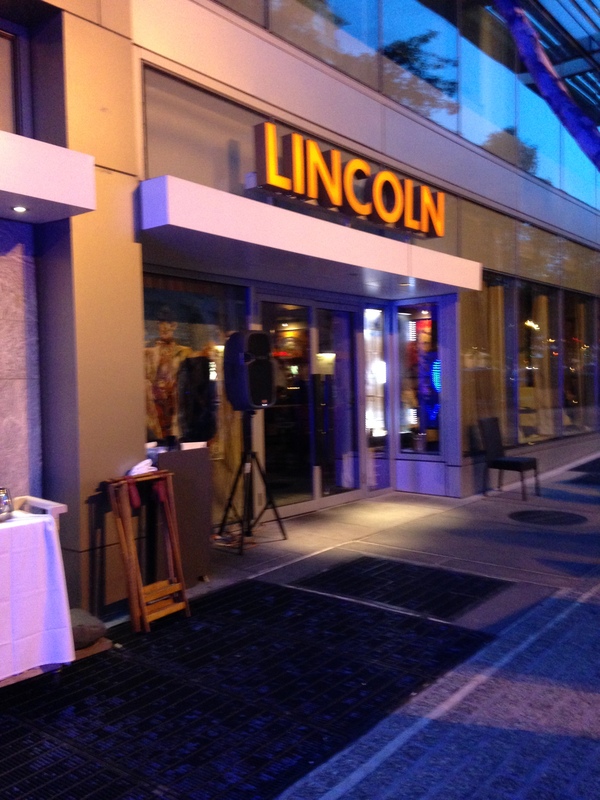 If you are in Washington, DC, stop in adn enjoy a meal at Lincoln. It’s not often in this day and age for a restaurant to provide anything for free (much less gourmet cheesecake and champagne! )… such random acts of kindness show a generous spirit and should be commended! 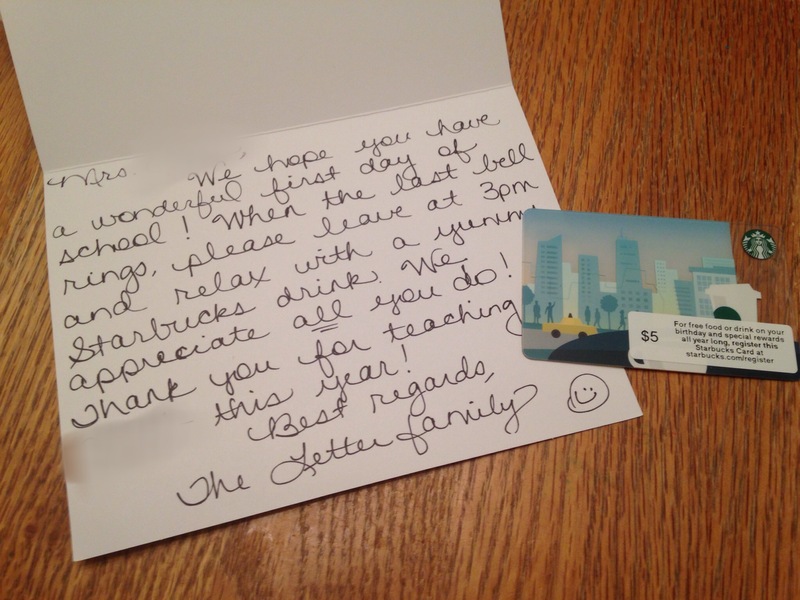 Be blessed this holiday weekend – more RAK stories to come!